can anyone moving to Germany apply for public health insurance (known in German as gesetzliche Krankenversicherung)? is it a requirement to be employed in order to obtain public health insurance? is private health insurance in Germany better than the public health insurance? In this guide, the basics of expat health insurance in Germany will be clarified and this will hopefully make understanding the system less complicated. Anyone who is considering a move to Germany should be absolutely that it is a legal requirement that anyone living in Germany must have health insurance. Every individual has the choice of fulfilling this legal requirement by taking out either public or private health insurance, but it has to be full insurance through one of these sectors; travel insurance will not meet the requirements. As well as ensuring access to health care, expat health insurance in Germany is also necessary for anyone living, working or studying in Germany. Without it there will be serious complications and difficulties in obtaining, for example, a residency permit. From 1th of January 2009 it has been a legal requirement for anyone living in Germany to take out health insurance through a licensed health insurance provider, but again it should be stressed that the choice of whether the provider is in the public or private sector is down to the individual. Public health insurance is the most widely used, with approximately 85% of German residents opting for a public health insurance policy. In the German language this is known as Gesetzliche Krankenkenversicherung (GKV). The remaining 15% of German residents have opted for a private health insurance policy. Regardless of whether someone opts for public or private health insurance, the reassuring fact about the German health care system is that it is one of the best in the world. Not surprisingly, waiting times for medical treatment in Germany do vary between public and private provision. As with many other countries, a patient will sometimes wait longer for treatment under a public health insurance scheme than under a private insurance policy. This will in most cases not be the case where emergency treatment is needed. The general provision of health services in Germany is extremely good however, and the quality attracts foreigners who want to receive the best treatment available. Theoretically there should be a difference in the treatment provided under either private or public health insurance policies, although private insurance may cover a wider field of treatment and care. As would be expected, with private medical insurance there comes a range of options not available through the public system. For example, private rooms in private hospitals and alternative treatments such as herbal and aroma therapies and acupuncture. There is no hard and fast rule to be applied to making a choice between private and public health insurance in Germany. The best expat health insurance in Germany depends upon the individual circumstances of each person. Most people living in Germany are obliged to take out public health insurance. Private insurance is the exception. Practically anyone who is employed is eligible for the public health insurance system, but it can be difficult opting out of this system to take up a private health insurance scheme. The state, or public health insurance system is provided not by one organisation, but by over 200 non-profit companies who work with the German state to provide the national health care system (Gesetzliche Krankenkassen in Germany. The largest provider is AOK. Since 1996 individuals have the choice of which provider they insure with. 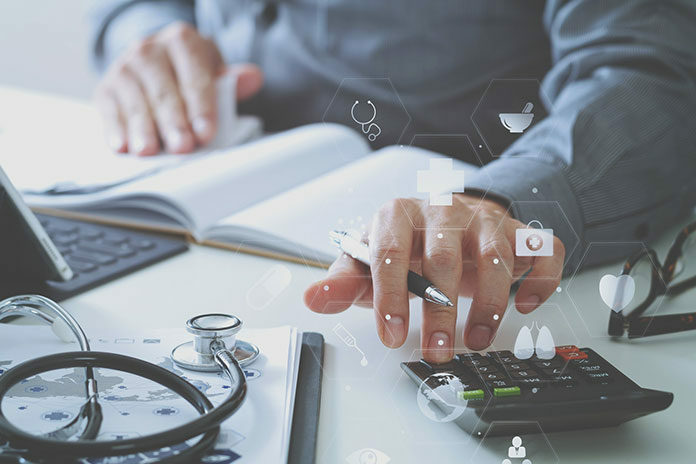 Although these companies administer the state health system, there are differences in their provision, such as translation services, and even the contributions, although these are set in accordance with state rules. A major benefit of public health insurance is that once an individual has taken out insurance, their wife, husband or civil partner are also insured, as are any children up to a certain age. The state system contributions an individual must make are income–based. The higher an individual’s income is, the greater the contributions will be. In these cases it may be advantageous for high-earning individuals to consider private insurance. Unlike the state system, private insurance contributions are based on a risk assessment, not income. What this means in practical terms is that those assessed to be in potential need of more health care – for example, older people and women – will pay higher insurance premiums under a private scheme. What is of note is that, regardless of whether it is a public or private insurance scheme, the contributions are always split between the individual and, where that individual is in employment, the employer. In the case of someone who is unemployed, they may still be able to get public health insurance but there may be certain proofs that are required, for example proof of having been a member of a public health system previously, whether in Germany or elsewhere. Whether someone is employed or not, living in Germany means having German health insurance. There is no legal option but to join either the public system or take out private health insurance. Choosing between the public and private health insurance systems is a matter for the individual, based upon their specific circumstances and needs. 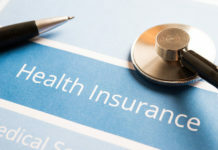 In some cases, where an individual is earning a high salary, private insurance may be the best choice due to the system used to calculate contributions in the public health insurance system. For families, the public system offers the benefits of free insurance for spouses, civil partners and children below a specified age, so long as one adult is insured. With regard to charges for medication, appointments and other sundries, these will vary between the private and public systems. Before making a choice about whether or not to join the public health insurance system or take out private health insurance, the individual is best advised to undertake research. This should include ascertaining eligibility for the public system, personal details such as income, the number of other members of the family who will need to be insured, and the medical histories of all concerned. This is particularly important for those who have serious medical conditions or a history of above-average health treatment. What is reassuring is that, regardless of whether it is accessed through private or public health insurance, the health service in Germany is one of the best in the world, a fact that should reassure everyone who needs to pay for it.